I needed to strip a bunch of ribbon cable leads, and stripping each wire individually by hand was a real pain. Looking around for any quicker way of doing the job, I read about laser wire stripping. Turns out it's a standard technique for accurate stripping. 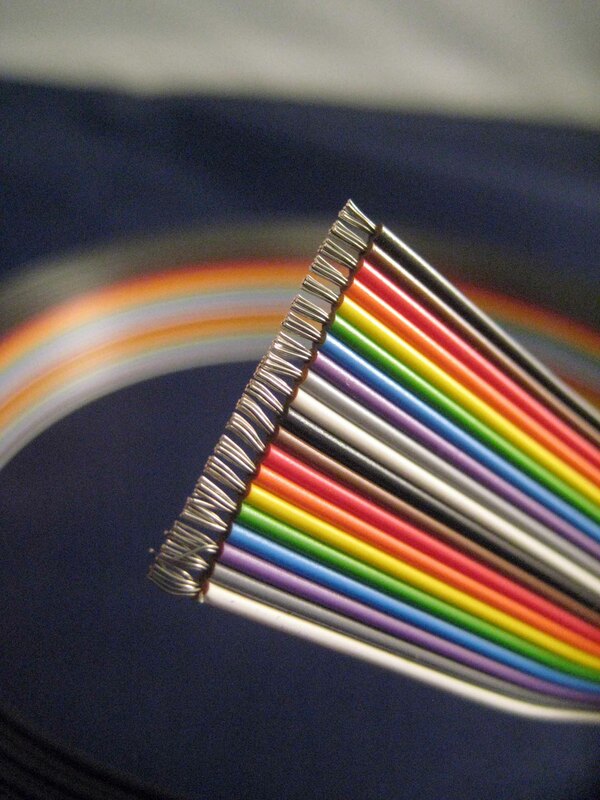 What's more, it's ideal for ribbon cable. Here's one site with some good information and photos - http://www.laserwiresolutions.com/. They have an imgur album at http://imgur.com/gallery/assPb. The fancy machines can even do tricks like using different wavelengths of laser to cut different layers of the insulation (if there are several layers present).